As a 2-star prospect from New Jersey, Josh Allen wasn’t exactly on Kentucky’s radar coming out of Montclair High School. 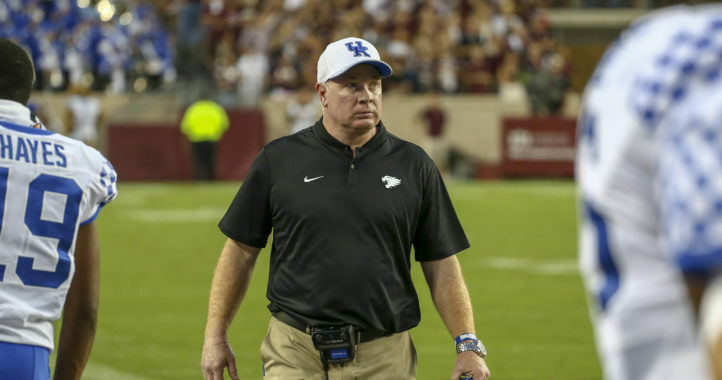 But a friend of Mark Stoops who coached in Allen’s area made the Wildcats coach aware of him, and now Allen is one of the best players in the entire country. During Wednesday’s SEC Coaches Teleconference, Stoops told the story of how he discovered Allen and what Kentucky originally saw in him. Stoops also offered a scouting report for Tennessee (4-5, 1-4 SEC), which the No. 11 Wildcats (7-2, 5-2) visit at 3:30 p.m. ET on Saturday. 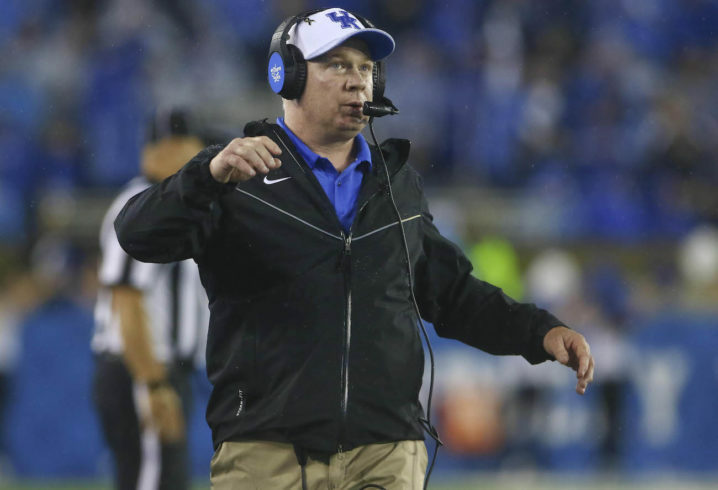 Below, you can read everything Stoops said during Wednesday’s teleconference. Terry Wilson, have you seen him progress? Definitely, I saw his confidence grow in the two-minute drill against Missouri. I think it carried over to the Georgia game. We would like to have more balance on offense; it’s been too much one way or another. Terry is making progress. He is very good and very versatile. He has been a good blocker and (is) very unselfish. Do you think it’s wild two Iowa defenders coached those guys (former Arkansas coach Bret Bielema and Alex Collins being the other)? It is ironic, but we will take it. How different is Tennessee this year? They are different. Jeremy’s fingers are all over this defense. they play hard; that’s a credit to him. Offensively, I think they are trying to find the right pieces. Their receivers and running backs are talented, and Jarrett (Guarantano) has been improving. He is having more comfort, and they do a good job of giving different looks. There are guys you have to worry about on the outside, that’s for sure. They were extremely physical. I knew they were well-coached. … They do a very good job, they run play-action off that. What stood out was how big and how physical they were. On leaning on your leaders, how has that gone? They’ve been doing well. They know we have a chance to do some special things here, and they are doing a good job. I had a coaching friend in New Jersey that sent me the film. He wasn’t even his coach, he was an opposing coach. We liked him, thought he had some upside and next thing you know, he’s a Kentucky Wildcat. He has blown up. He made a wise decision coming back. He’s been a leader for us this year. The steady progress. There aren’t any easy fixes. I think traditional powers can do it a little easier. We want to continue to grow and push it, and we do that with work. Let’s hope there’s a bunch of low star all americans in the latest recruiting class. 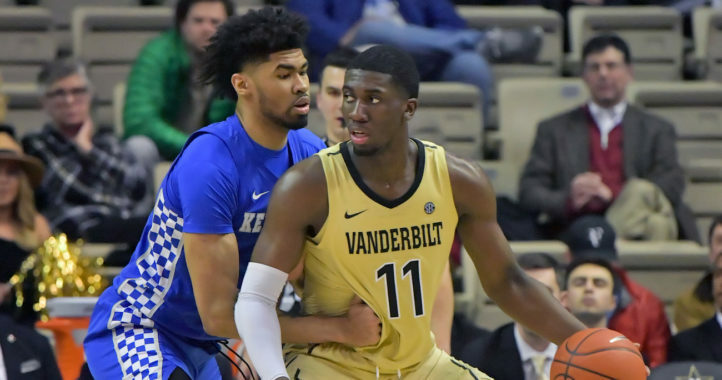 We are only out recruiting Vanderbilt in the SEC in stars per player. But that new recruiting deck is going to make up the difference in the SEC. Maybe we need more billboards in Ohio. (bet they’re cheaper than in New York City). Maybe, just maybe the number of stars is overrated. Many great players start as 2-3 star recruits, but you already knew that. You just like to try to get everyone going. Only outrecruiting Vandy, but 7-2 this year. I’ll take as would most teams in the conference. You are gonna have to work harder than that. Wrong article paris10, you need to troll on over your real team and give and your expert input on whether the boys in orange should accept a bowl game at 5-7. Well, with us beating the world every year from now on, let’s tear down the recruiting deck, add 40 thousand seats, and battle the big boys. Instead of our double up on the MAC conference next year let’s pick up Ohio State and Michigan. And swap Mississippi State as our every year game from the WEST and demand we can play Alabama. And of course doubt ‘our version of Stoops’salary and give him a lifetime contract. UK will never be able to out do Louisville. As soon as we sack petrino, it’s over for UK. If you are a Louisville fan then why are you here? Actually I would love a yearly match against Ohio State. Big games like that help recruiting. But you sir are an idiot that just wants to troll UK message boards every chance you get. Look at my post and then the one that follows. See anything different in the screen name? Check the No. 1. I doubt you will, but hey, as long as you wish to follow me, using the various screen names you have, heck, I’m becoming a legend on here.